Schumer went on to say that Tuesday’s State of the Union was “more of the same” from the president. “His first two years of the administration were not that at all. He loved divisiveness, he loved hot-button issues that inflamed his base but divided America. The speech was more of the same,” he explained. Democrats and ugly, the same. 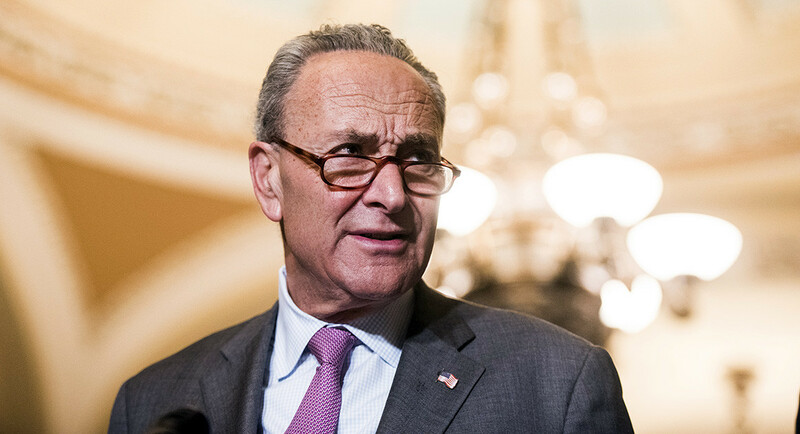 Idiot, Moron, Fool, are just of the few words to describe Chucky! And for me that is being tolerant! Schumer is a delusional criminal! this JEW PIECE OF CRAP NEEDS ARRESTED FOR GIVING AID AND COMFORT TO OUR ENEMIES. ALONG WITH 99% OF THE REST OF THAT LAWLESS BABY KILLING COMMUNIST DEMORAT PARTY.